Looking for the best Halloween jokes for kids? Check out our huge collection of clean Halloween jokes – great for children and families. These funny Halloween Jokes are perfect for parents, teachers, Halloween parties, lunchboxes and fans of spooky things. 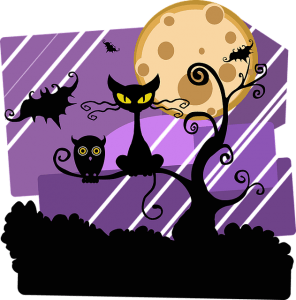 Fun Kids Jokes has a huge amount of jokes for Halloween and we have it broken down into themes, like witch jokes, zombie jokes, ghost jokes, ghoul jokes, scarecrow jokes and many more! Halloween is a time for spooky fun – we hope you scare up lots of smiles, giggles and giddy screams with these jokes! Best collection of skeleton jokes - great for Halloween and a pirate parties. Clean and safe skeleton jokes for teachers, parents and kids of all ages. Looking for jokes about skeletons? We have them! What kind of makeup do witches wear?